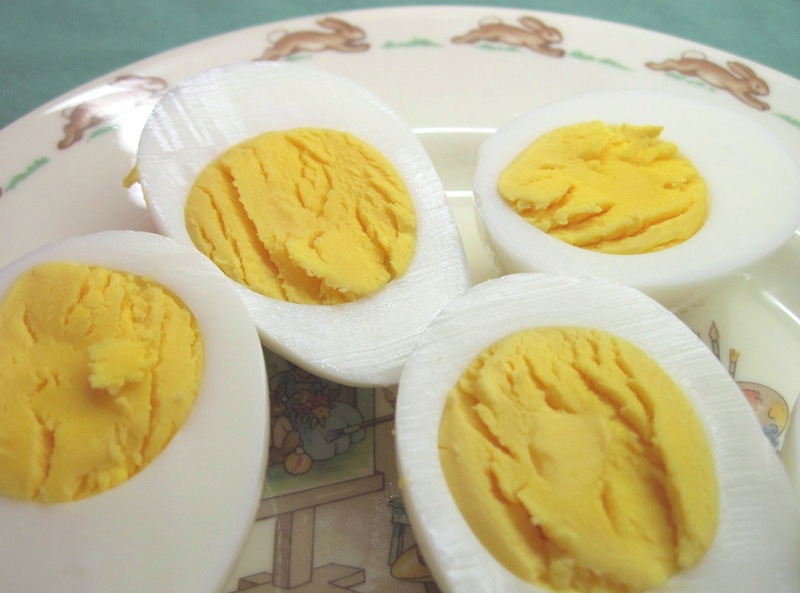 With Easter right around the corner, it’s time to think about hard boiled eggs. You would think that a recipe for hard boiled eggs would be unnecessary, but it’s good to know a few tricks to get perfect hard boiled eggs. You want them to be done, without being overdone with “rubbery” egg whites. And you don’t want that dreaded green ring around the yolk. There are certainly other techniques that work, but I get consistent results with this one. This is a simplified version of Julia Child’s recipe for hard boiled eggs in The Way to Cook. (She gives credit to the Georgia Egg Board.) Her method involves putting the cooked eggs in ice water, then putting them back in boiling water again for 10 seconds, and then back in the ice water for 15 – 20 minutes. That’s just too many steps for me. I have found that you can get good results without the 10 second boil and the second ice bath. I boiled 3 perfect hard boiled eggs today and made Deviled Egg Salad Sandwiches. 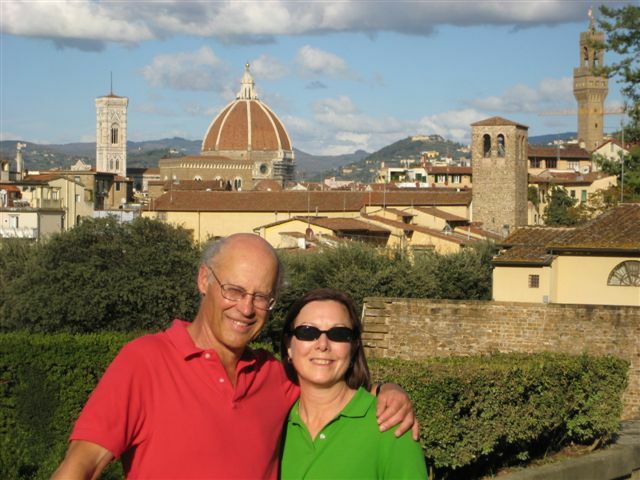 Last weekend Laura called to ask me about cooking hard boiled eggs. Off the top of my head, I told her this method, but I said to leave them in the pot for 10 minutes instead of 17 minutes. Were her eggs undercooked? No…they were perfect! How could we both get perfect eggs when the timing was so different? Perhaps the eggs are fully cooked in 10 minutes; after 10 minutes the water is cooler so they do not continue to cook much in the next 7 minutes. That’s my theory, anyway, and I’m sticking with it! The current (May/June 2010) issue of Cook’s Illustrated has a short article confirming that, after 11 years, they still like this method of cooking eggs. Their timing? 10 minutes in the pot and then a 5 minute ice bath. Prick the large end of the eggs with a pin. Allow it to go about ¼ inch into each egg. (This allows the air to escape from the eggs as they heat up; it helps to keep the shell from cracking as the eggs cook.) This step seems unnecessary. Put the pot on the stove over high heat. As soon as it comes to a boil, remove the pot from the heat, cover and set the timer for 17 minutes 10 minutes. When the 17 minutes 10 minutes is almost up, prepare the ice bath. Fill a large bowl or another pot with cold water and lots of ice cubes. The water should feel very icy to touch. 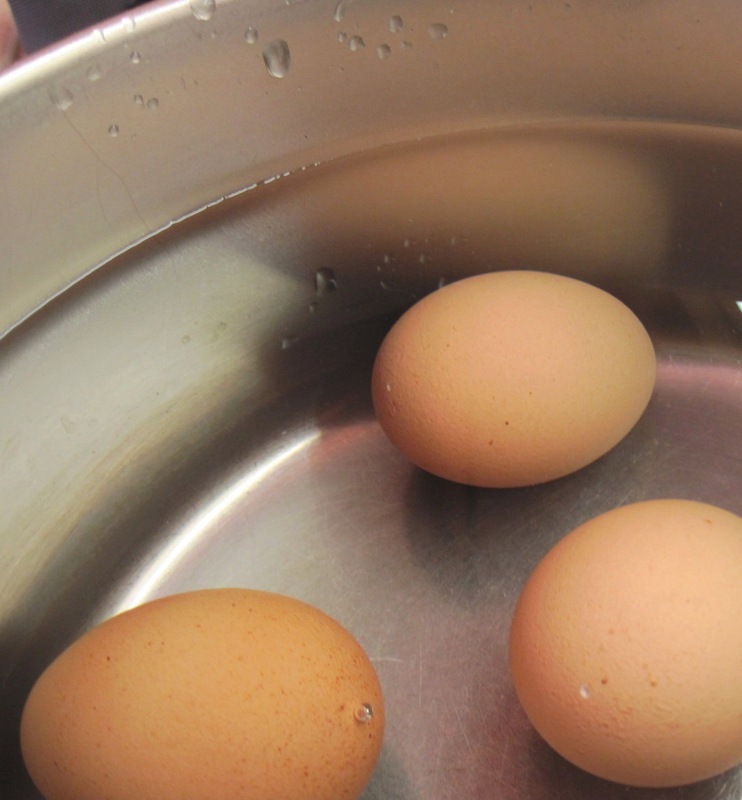 When the eggs are done, immediately remove them from the boiling water and immerse them in the ice bath. (A large slotted spoon or skimmer works well.) Let them sit in the ice bath for 5 minutes. Crack each egg on the countertop and then roll it gently to break up the shell. Peel the eggs. They’re ready to use immediately. Chop the eggs in a bowl. Add the mayonnaise, mustard, Tabasco, and salt and pepper to taste. Mix well. If desired, top two slices of bread with sliced onions. 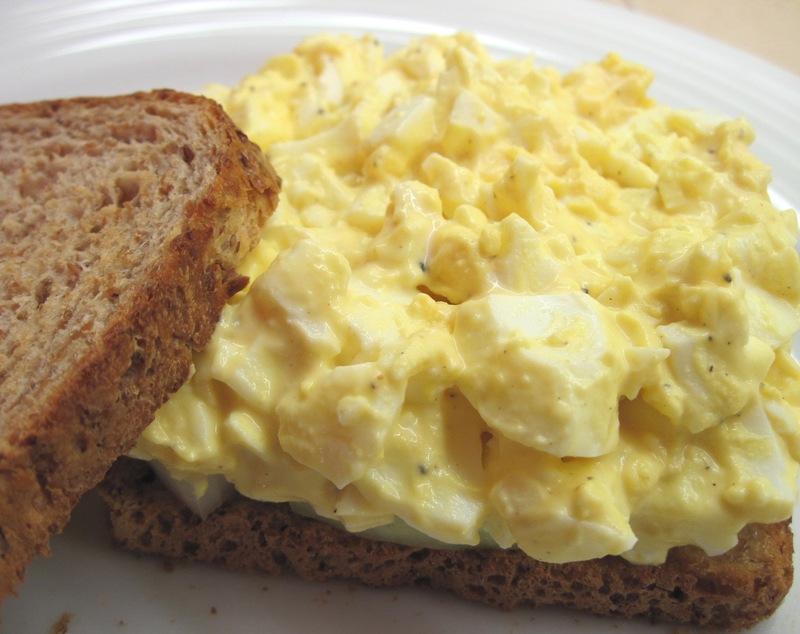 Spread the egg salad on top of the onions. Looks delicious, Michael! I especially love the addition of dill.